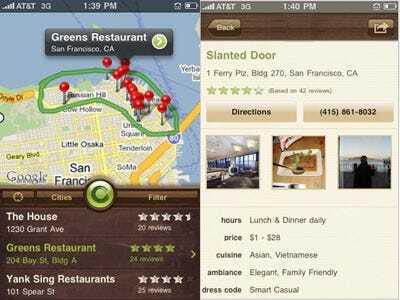 has released a new iPhone app that lets users search for restaurants by “sketching” out an area on a map. If you can’t remember the name of a particular restaurant you’ve been too before, or just want to browse for something to eat nearby, this is a neat tool. You sketch out an area on a map with your finger, and get search results within that region. You can further refine your search by type of food, atmosphere, or rating. It seems a little inconvenient to have this as a standalone app, but it’s definitely a neat mobile search feature. And it’s free! iphone iphone apps mobile mobile ads sai-us search yahoo!